Gannavaram Airport which is going to be one of the main lifelines of air transport for Amaravati, is running on with a rapid growth. In the year 2015-2016 3,96,579 passengers have used the services of Gannavarm Airport. With the government taking steps to convert Gannavaram Airport into an international airport, it is proving that it has every right to become an international airport. With 2,33,617 passenger movement last year 2014-2015, it has raised an abnormal rapid growth of 3,96,579 passengers movement in 2015-2016, which is of 70% growth, i.e. 1,62,962 passegers more. 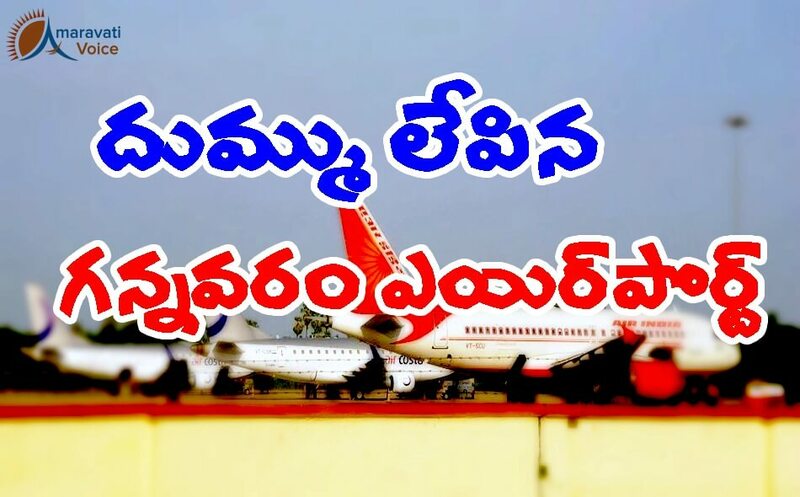 The Aviation department has confessed that, this growth rate for smaller airports is abnormal and Gannavaram Airport has a very bright future. Not only passengers but also the Flight movements have increased 41% compared to last year. In 2014-2015 there are 5386 flight trips, which are 7596 flight trips in the year 2015-2016. Right now there are 21 flight schedules running every day from Gannavaram Airport. And by June, there would be another 10 schedules adding.